Summer offers great exercise opportunities, vacation time for fitness and fun, and plenty of healthy seasonal foods. Take advantage of summer, and achieve your best health with help from Wellworks For You. Ah, summertime. We’re really in the heart of it now–the long, hot, sunny days and warm nights. It’s an amazing time of year, but, at Wellworks For You, we know that for those of us who aren’t in quite as good physical health as we’d like (which–let’s face it–includes most of us), summer can be a little stressful. If you’re feeling out of shape, though, don’t count yourself out yet. All too often people treat summer as the end goal of exercise–i.e. you need to be in shape BEFORE summer (and bathing suit season) arrives. But why not see summer for what it is: a great time of year for exercise and fitness. If you didn’t quite get in shape before summer, use the beautiful weather and vacation time to get moving and get healthy. 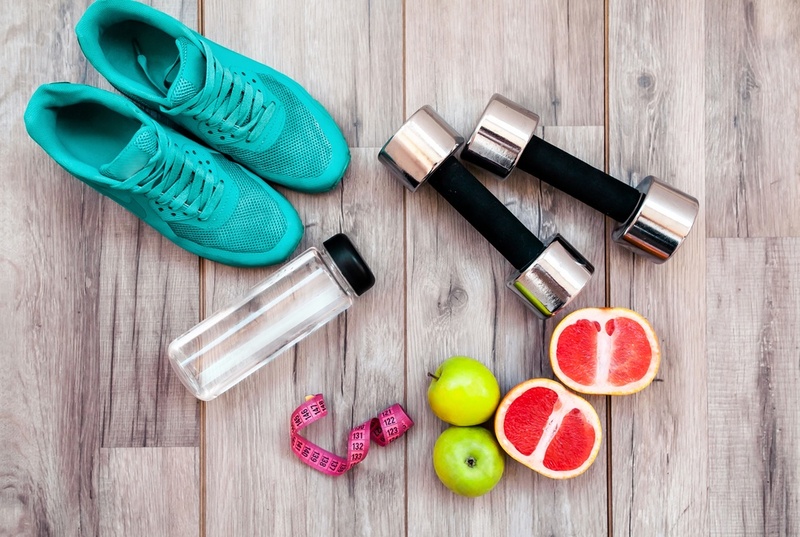 We, at Wellworks, want you to use the summer season to your full fitness advantage, which is why we’ve put together this list of five fun and effective summer fitness tips, including summer exercise tips, summer nutrition tips, and summer health tips. This is a practical summer workout tip for numerous reasons. First, exercise energizes, so going for an early morning run or doing a morning workout will wake and freshen you for an active day. Second, it helps you beat the summer heat; if you wait until the heat of the day to exercise, you might end up shrugging off your intended workout (because the conditions are just too miserable) or, worse yet, suffering from heat sickness/exhaustion, or dehydration. The average full-time worker spends half of their waking workday hours at their job–so a key summer fitness tip to help create a comprehensively healthy lifestyle is to bring health into the office. And that’s where Wellworks can help you and your company. We have numerous fitness initiatives to get your office up and moving this summer and encourage healthy living in your workplace. Is there a farmer’s market near your home? Maybe a community farm that offers crop sharing programs? Or maybe you have your own garden to pick from. However you acquire it, fresh, seasonal produce is one of the best perks of the summer season. Our summer fitness tip? Simply eat seasonal–the fresh fruits and veggies of summer taste better and are better for you than frozen or processed foods. Yes, yes, we know–it’s common sense. But it really is remarkable how much faster your body loses fluid during hot weather. So take this summer fitness tip to heart: stay hydrated! Experts recommend drinking 17 oz. of fluid two hours before exercising, and always bring sufficient water with you during exercise. And drink sports’ drinks with moderation; while the electrolytes featured in sports drinks are excellent for combatting dehydration, they tend to be loaded with sugars and calories that can compromise your summertime nutrition. So don’t just treat summer as the payoff or punishment for the health and fitness work you’ve done (or avoided) during the rest of the year–apply these summer fitness tips and take full advantage of the wellness opportunities that summer offers. And if you need extra help starting a wellness regime or encouraging your workplace to start getting in shape, Wellworks For You offers numerous helpful programs to get you on the road to great health!